Britain’s Germanic allies were a necessity in fighting the Rebels. 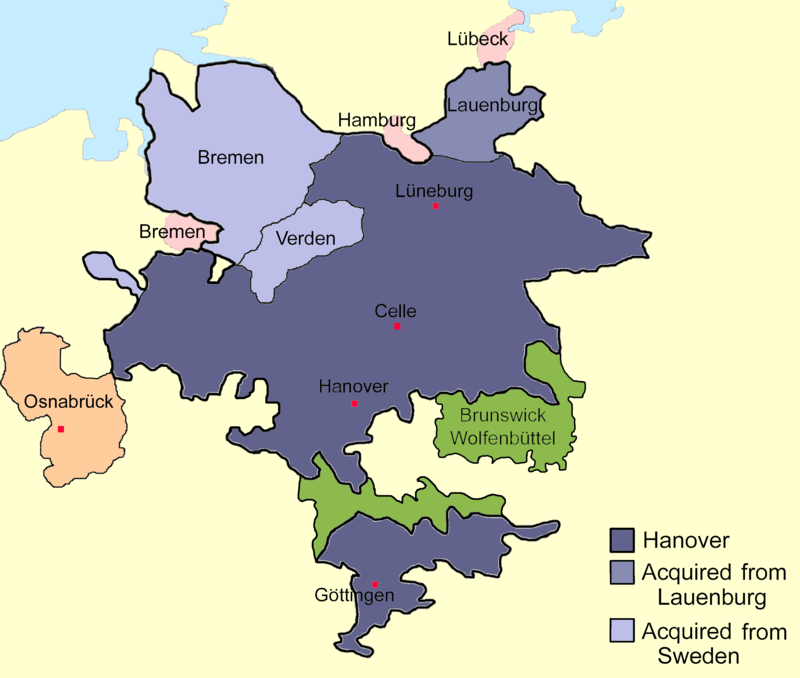 Map of Germanic states and duchies in the 1700s. 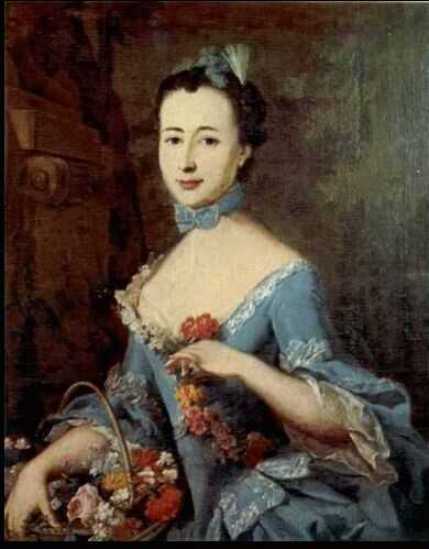 Portrait of Frederika Charlotte Louise von Massow, Barroness von Riedesel. By Johann Heinrich Wilhelm Tischbein. 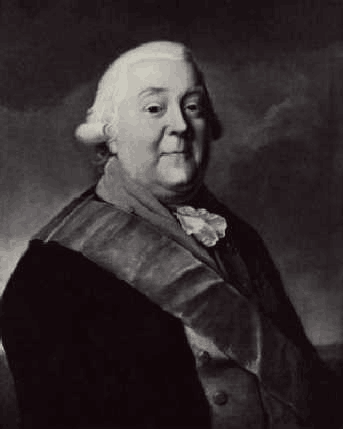 Approximately half of General John Burgoyne’s army was made up of Germans from the Principality of Braunschweig-Wolfenbüttel under the Command of Baron Friedrich Adolf Riedesel. They had arrived the previous year to fight against the Rebels during the Siege of Quebec, took part in Carleton’s 1776 campaign, and remained in Canada through the winter. Although Riedesel and his Braunschweig troops had never fought in this type of wilderness, trained and disciplined troops were invaluable to Burgoyne. Britain’s global empire was built upon a grand fleet of ships that commanded control of the high-seas, but maintaining order in its colonies took a lot of man-power and professional soldiers were in short supply. In order to raise the number of troops necessary for putting down the Revolution in America, King George III drew upon his allies in the independent provinces of Germany. Family, religion, and blood tied the German provinces to Britain. Duke Ferdinand of Braunschweig-Wolfenbüttel commanded a joint Anglo-German army against the French during the Seven Years War. Shortly after the war was over, his son, Charles William Ferdinand, married Princess Augusta, sister of King George III of Great Britain. When protests began in the colonies, Duke Ferdinand feared that the distraction might embolden their French enemies to attack again, so he entered into an alliance with the British. Like U.S. troops serving in peacekeeping missions for the United Nations, these men were not mercenaries or soldiers of fortune. They were pawns of a political alliance, fighting a foreign war on distant soil. The Braunschweigers, or Brunswickers as the British called them, had little incentive other than their regular wages, the promise of adventure, and the glory of victorious battle. Their commander, Baron Frederich Adolf Riedesel, was an able officer that instilled a sense of confidence in his troops. The Baron was from a minor German noble family that had been around since the 12th century. Riedesel was a smart and prudent leader that fought alongside the Royal Army, so it was natural that he be appointed to command the Brunswick troops in America. His social position and distinguished service at the Battle of Minden preceded him, earning him respect among the British and German ranks alike. Not all of the German officers spoke English and none of them had seen wilderness combat before, so Riedesel was instrumental in managing his troops. The Baron was to be accompanied by his wife, Baroness Fredericka Charlotte Riedesel. The Baroness was the daughter of a Prussian lieutenant general and had learned about camp life at an early age. She helped take care of the Baron when he was injured in the Seven Years War and they fell madly in love. The Baroness was pregnant with their third child when Riedesel departed for the New World, but she promised she would follow with their three children as soon as they were capable of travelling. She recorded her experience in letters and journals that were later published. It was April when the ice of the St. Lawrence finally melted, allowing a new campaign season to begin. They called it the “year of the hangman” because the three 7’s resembled the hanging gallows the British were going to use to string up the treasonous Rebels. In England, a confident John Burgoyne saw to the loading of his belongings and boarded the ship Apollo to take his command. He and his convoy arrived to Quebec on May 6, 1777. Burgoyne’s plan was for the regiments to head out at regular intervals, one after another, so that the advance units built camps that would be occupied by successive units. The advance unit, under Brigadier General Simon Fraser, was to lead the campaign, Major General William Phillip’s right-wing was to follow, and the left-wing under Baron Riedesel took up the rear. The British would depend on Carleton to see to the preparation of the campaign and the maintenance of the supply-line, but Carleton was angry that he was not to lead the campaign himself. He threatened to resign but eventually relented. Carleton was vital to the preparation of the campaign, which had to pass up the St. Lawrence, over the falls and past the carries to St. John on the Richelieu River, before reaching the navigable lake. Burgoyne spent the next month preparing to depart. His troops were stationed at various towns between Quebec City and Lake Champlain and it would require a degree of organization to provide for the movement of the troops over turbulent waters, narrow rivers, and muddy roads to the open lake. In June, the troops began their way to the Richelieu River, where the Royal Navy sat awaiting their transport. It was a ragtag bunch of boats. The Royal George had recently been built at St. John. The Thunderer had been built by the French, sunk by the Americans, and raised by the British to be remade as a floating battery for the siege of Ticonderoga. The Inflexible was a three-masted ship that had been disassembled and rebuilt at St. John. The Carleton and the Maria, named for Carleton’s wife, were disassembled at Chambly, carried over the portage, and reassembled. The gondola Loyal Convert had also been brought overland, and the Washington, Lee, and Jersey had all been salvaged from Benedict Arnold’s fleet damaged at the Battle of Valcour. Baron Riedesel was among the last to depart from winter camp, and his wife had still not arrived. He wrote in despair that he was to depart without having seen her. It was to his great surprise the Baroness arrived in time to meet him. Start track 5 after leaving Ausable Chasm. Continue south on Route 9. In Keeseville, veer left onto 22 South. Track 5 will end about when you leave Keeseville and turn left onto 22 South toward Willsboro. Start track 6 at that point. “With a view of quelling the Rebellion as soon as possible, it is become highly necessary that the most speedy junction of the two armies should be effected, and therefore, as the security and good government of Canada absolutely requires your presence there; it is the King’s determination to leave about 3000 men under your command for the defense and duties of that province, and to employ the remainder of your army upon two expeditions- the one under the command of Lt. Gen. Burgoyne, who is to force his way to Albany; and the other under the command of Lt. Col. St. Leger, who is to make a diversion on the Mohawk River.” –An extract of a letter from Lord George Germaine to Sir Guy Carleton, March, 26 1777.